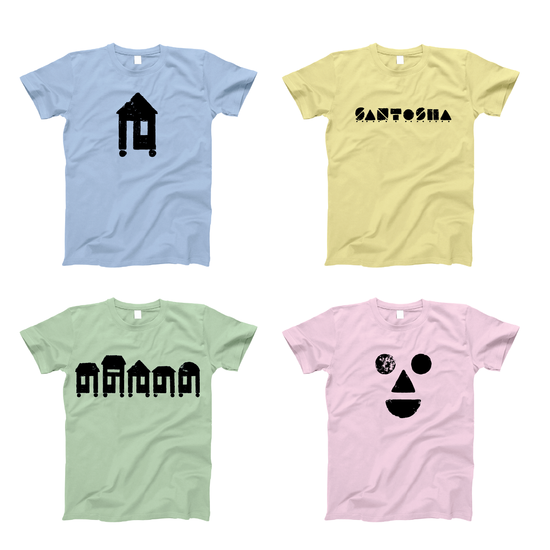 Santosha is an organization working to create a self-governed village of tiny, mobile houses to allow the homeless to transition from transience and uncertainty to a stable, meaningful life. 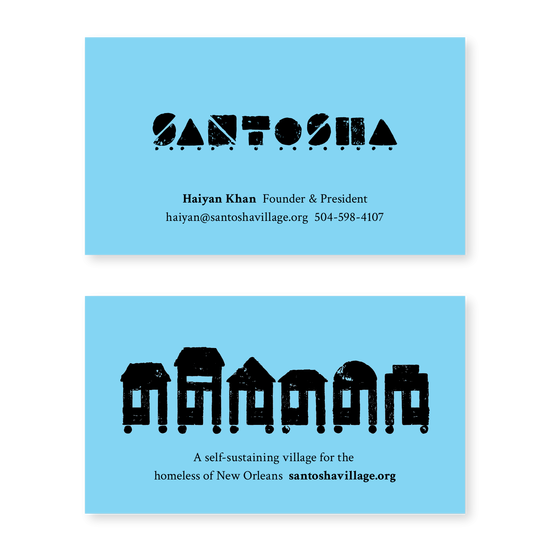 Their vision for the village is to build community, wellness, and a path to sustained freedom through home ownership. 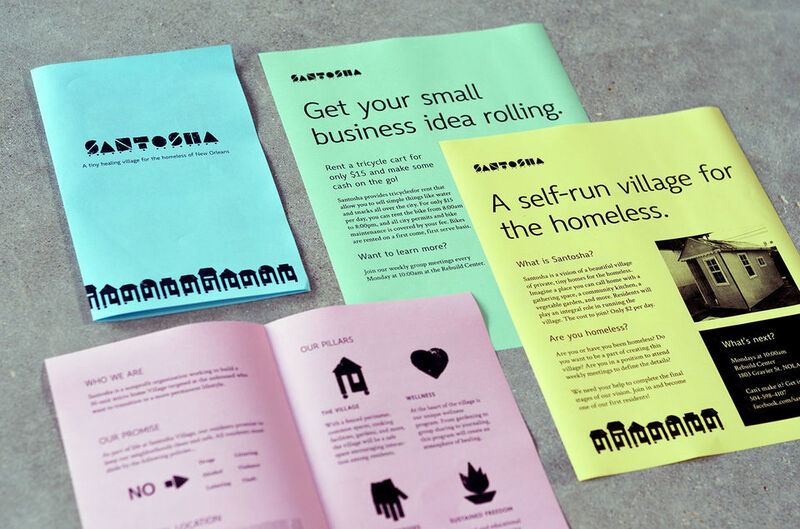 Santosha approached Southpaw to create a brand identity that had a DIY component to encourage villager participation in growing (and owning) the brand. 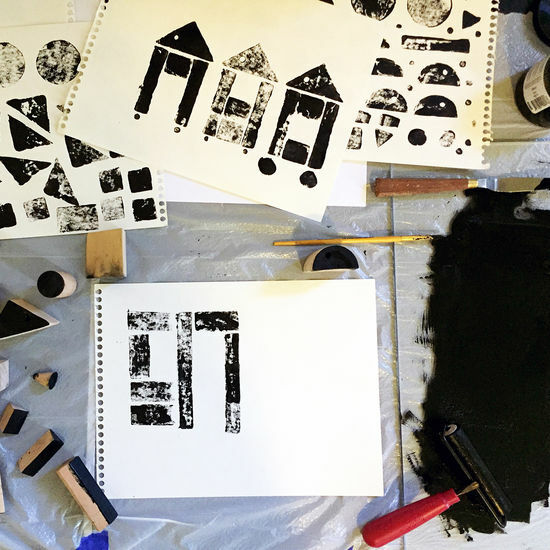 With the DIY component and low budget in mind, we developed a logo and graphic system based on geometric stamps that could be made from tiny house construction scraps and then used to build words and icons. 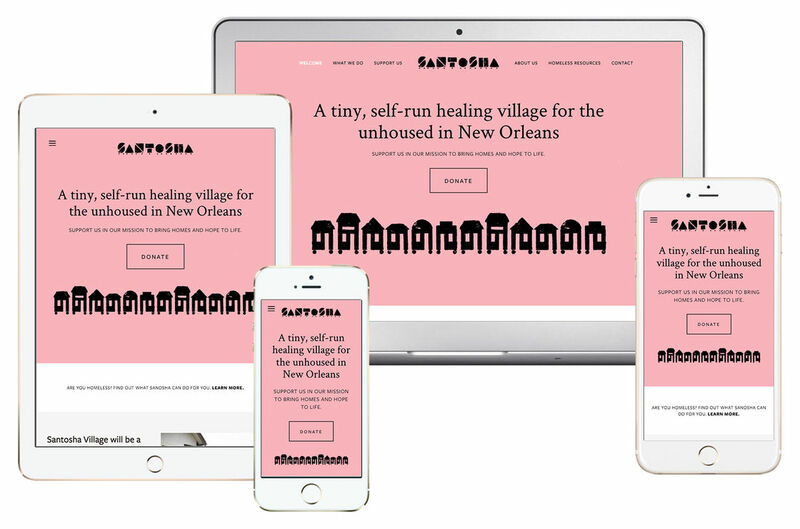 Santosha's organizational mission has 4 pillars: the Village and programs for Integrated Wellness, Micro Business Assistance, and Sustained Freedom. 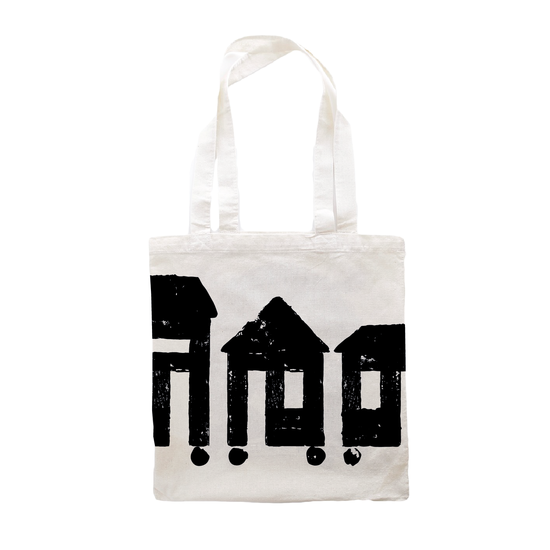 The goal for the identity is flexibility and accessibility. 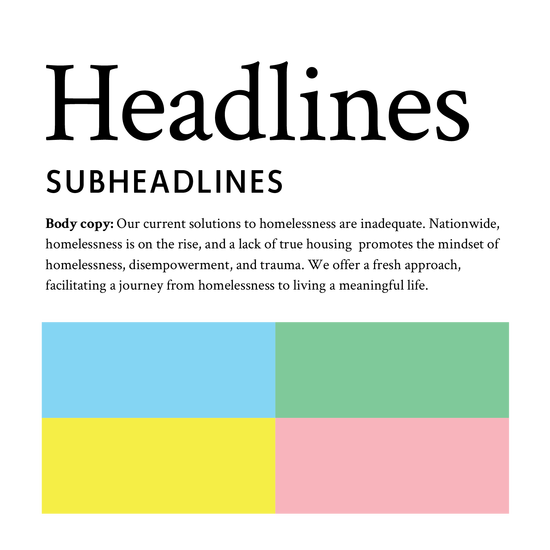 To save on costs, applications use only black ink on inexpensive, readily-available pastel paper.